Nearby: Located in between Racetrack Road and Country Road 210. You have various shopping centers with grocery stores, shops and restaurants. The school is also right on campus. Durbin Crossing has mixture of neighborhoods and builders. So you can find homesites from 40' to 83' backing to the lakes or preserve. There will be approximately 1,551 homes and 947 multifamily homes. Builders include Toll Brothers, DS Ware, Beazer Homes, Mattamy Homes, Watson Custom Home Builders and Ryland Homes. Durbin Crossing has been rated one of the Top Selling Master Planned Communities in America. It is a very large community situated on over 2,000 acres. Half of that acreage is conservation area so there are plenty of private spaces and scenic woodland views. You also have 39 lakes, 24.5 acres of parks and 36 acres of community parks. The Community parks consist of land that Durbin Crossing donated to St. Johns County to create Durbin Crossing Community Park with 4 lighted baseball fields and 2 lighted ballfields and Veterans park with soccer fields, skateboard park and a dog park! 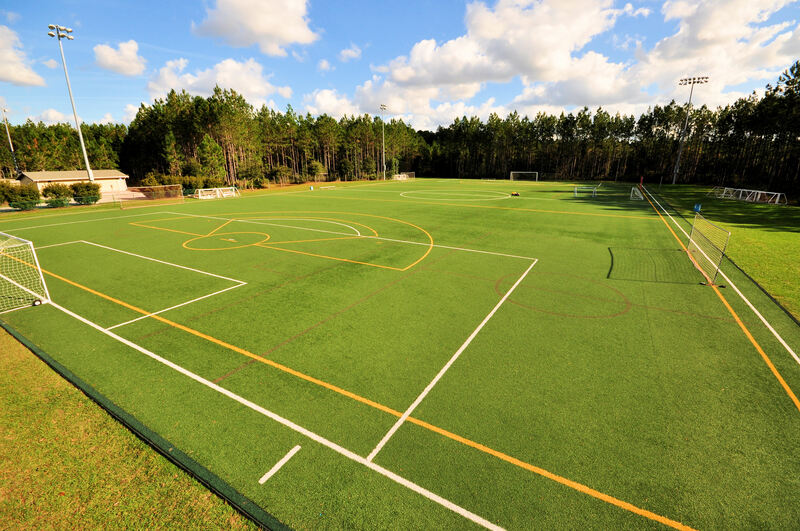 It is a popular location with a K-8 Patriot Oaks Academy located right on site, plus the St. Johns County park system, 2 amenity centers, sports fields and more! Durbin Crossing has put a high priority on outdoor fun. You have two large scale amenity centers within walking distance of your home. The South Amenity Center features a huge clubhouse, junior Olympic pool, waterslide, children's pool, fitness center, 4 lighted tennis courts, basektball court, valleyball court, playground area plus an Activity Planning Staff to keep everybody enjoying their weekends! The North Amenity Center also has a clubhouse, a funtime pool with splash park, playground, 2 lighted tennis courts, basketball court, ballfield for soccer, football, softball and more! Need a babysitter? Call the Durbin Crossing Babysitter's Club. January through March is our Flag Football League. So join for some fun. Like to swim? Join the Durbin Dolphin Swim Team to swim competitively. Durbin Crossing is located in between Racetrack Rd and Cr-210. You are close to I-95 for an easy commute to Jacksonville or St. Augustine. You also have just a 35 minute drive to get to the beach!